Published on April 1, 2015 in analytics and general info. Closed Tags: Boston, Boston condo market, Boston condo sales volume, Boston sales outlook, South End condo sales, South End condos, South End real estate. Interesting dynamics in the Boston and metro Boston markets – from Scott at Boston.com. 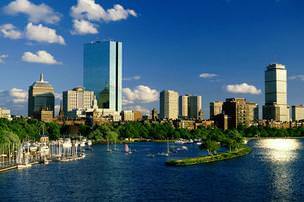 Sales rise in suburbs, slow down in Boston. Towns and neighborhoods across the Boston area posted big gains in both sales and prices in February, defying a winter that broke snowfall records and left many businesses reeling. The suburbs led the way. Several communities are actually ahead of last year’s pace when it comes to home sales, according to numbers released by The Warren Group, publisher of Banker & Tradesman. Cambridge proved as desirable as ever, with both condo and home sales rising markedly, as the median price of a house in the city hit $1.3 million. Boston was more of a mixed bag; some neighborhoods posted strong numbers, but others all but fell off the map. Overall, home sales across Massachusetts rose 4 percent in February, with the median single-family home price for the first two months of the year increasing 5 percent to $316,000, according to The Warren Group. Condo prices rose 1.5 percent to $294,250, even as sales fell by 6 percent. The Warren numbers, of course, only tell part of the picture, as some represent sales that were initially inked late last year, or in January of this year (before the storms) but which finally closed in February. Still, Greater Boston homebuyers proved to be a hardy bunch. The western suburbs held up especially well, according to The Warren Group’s February housing report. Framingham, Marlborough, Natick, Franklin, Medfield, Wayland, Lexington, Concord, Wellesley, and Weston all put in strong showings in February. Sales so far this year are up by double digits in Framingham (20 percent), Franklin (118 percent), Concord (54 percent), Lexington (14 percent), Natick (15 percent), Wellesley (26 percent), and Needham (18 percent). The dire cold may have made buyers stingier, as selling prices were down in a number of towns. Notable exceptions included Needham, whose median home price soared past $1 million after a 33 percent jump; Lexington, where the median price hit $875,000 after a 7.4 percent increase; and Natick and Framingham, which saw prices go up by 6 percent. Quincy and Braintree were the stars on the South Shore, with sales for the first two months of the year rising 28 percent and 15 percent respectively. Median prices in both cities stayed just about even, at $360,000 for Quincy and $356,000 for Braintree. North of Boston, Medford is off to a particularly fast start in 2015, with sales up 6 percent and median price up more than 10 percent, to $440,000. Sales in Reading are up 80 percent, though the median price fell 9 percent to $438,000. But for Boston and Somerville, the latest home sales numbers for the first two months of the year had more downs than ups. Somerville home sales plunged 36 percent, with just seven properties changing hands so far this year, while condo sales were down 14 percent. The median price of a condo dropped 6 percent, to $422,000. In Boston, both condo and home sales were down in several neighborhoods. South Boston saw home sales rise by a quarter, even as condo sales fell by 10 percent, while Jamaica Plain saw condo sales plunge by 25 percent, even as the median price rose nearly 20 percent to $426,500. East Boston put in one of the strongest showings in the city, with condo sales up 46 percent for the year and the median price rising 10 percent to $385,000. Downtown Boston saw condo sales drop by a quarter through the end of February, while the median price edged down 14 percent to $757,500.